← 7 days until The Giant’s Shoulders #21! Neither the author of this article nor the guy in the second video actually gives any data or analysis applicable to the device in the first video. The author’s diagram does not reflect the structure of the device in the video. Also the author mentions several times “conservation of energy” and “thermodynamics” laws, but does not apply those concepts to explain how the device could not work. Thus no analysis has taken place in this article, only emotional oversimplification ( just like the second video guy ) and a trail of distracting mini history lessons. The complaint seems to be that I don’t actually spend my time proving that the device can’t work. My answer to this is that I don’t have to! At this point, such devices have been debunked so often and the laws of physics so well understood that the onus is on any would-be perpetual motion discoverer to demonstrate that their device does work, and ideally explain why. It is especially amusing to hear criticism of “mini history lessons”. Science is a process which builds upon all knowledge that has come before; what we have discovered previously — scientific history — is crucial. It would be impossible for science to progress if we spent all of our time, in the absence of new evidence, testing schemes that we know have already failed. With that in mind, it is worth pointing out that perpetual motion has been considered impossible — and treated with scorn — for a long, long time. 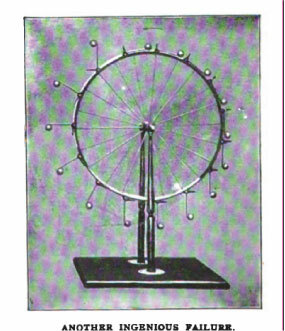 When I dug up the first volume of The Harmsworth Magazine, dated 1899, to seek out a story by Winston Churchill, I also found a popular article on perpetual motion. It is not kind to the concept, or the people who pursue it. Together with a great many other people. we came to the conclusion long since that a good deal of the literary wares that are foisted on the public by means of the ordinary advertising methods of personal paragraphs and “interviews” is mainly rubbish. Frankly and openly do we, therefore, declare that mere “names” will never command an entrance to the pages of this Magazine. As with our “Daily Mail” and our other journals, we shall rely on new writers. The public is weary of the reiteration of the same contributors to each of the monthly publications. He and she wants something new. It is our desire, for the sake of the public, for the benefit of young artists and others, and for our own profit, to avoid the productions of the professional “ring” of much advertised mediocrity which most assuredly dominates many of our Magazines to day, though the work of really representative men and women will always be secured, without regard to its cost. The goal seems to have been the creation of an upscale “Reader’s Digest”, combining both fiction and nonfiction articles, with lavish illustrations to boot! The format may not have been particularly successful, as the magazine was renamed the London Magazine in 1900, after only three volumes. There are a number of popular science articles in the first volume, including the one I’m interested in, ” ‘Perpetual motion’ seekers: their fascinating but hopeless pursuit.” Curiously, the author of the article is not given, which is almost unique in the magazine. Perhaps this is simply because it was written by a staff writer, or perhaps the author wanted anonymity due to the rather harsh tone taken. Three apparently hopeless quests have engaged the abilities of inventors and scientists from a very early period — the Philosopher’s Stone, that should convert everything it touched into pure gold; the Elixir of Life, that once partaken of should invest the recipient with immortality on earth; and Perpetual Motion. To the average man it is a self-evident fact that unless you put energy or force of some sort into a machine it won’t work. Thus, a locomotive will not move unless you apply steam or electricity, nor a bicycle unless the muscular energy of your own body propels it. But, simple as this fact may seem, there have been, from early times, as we have indicated, men whose whole object in life has been to construct a machine that, once started, shall run for ever by its own momentum. There are such people to-day; and it is pathetic to think what an immense amount of inventive genius has been expended on projects that we may declare to be absolutely hopeless of achievement, even in these days of phonographs and wireless telegraphy. “Why can’t it be done?” says the Inventor. Many reasons to the contrary might be adduced, but the most cogent answer to the practical man lies in this great fact, that up to the present not a single perpetual motor has ever yet been seen at work — that is to say, no machine has ever yet been invented which, when once started, would work for an indefinite time without a corresponding amount of energy being given it. Careful experiment and daily observation all point to one comprehensive principle — that you cannot get out of a machine more work than you put into it. In the locomotive, for example, the work given out when it is in operation is exactly equivalent to the energy stored up in the inert coal cast into the furnace. Although this principle in all its scientific exactitude is less than a century old, yet its truth is now so well settled, that nothing short of an actual working perpetual motor could demonstrate its falsity. The search for the Philosopher’s Stone, the production of an Elixir of Life, have, like the hope of an El Dorado, been consigned to the limbo of forgotten things. Nevertheless, in spite of science, aspirations after the Perpetual Motor still burn fitfully. This is an interesting point: some crackpot fantasies seem to have fizzled and faded with time and increasing knowledge, while others, like perpetual motion and creationism, stay somewhat constant. Some, indeed the vast majority, of the chimerical methods for getting work for nothing, are being rediscovered day by day, and, as before, cast aside. 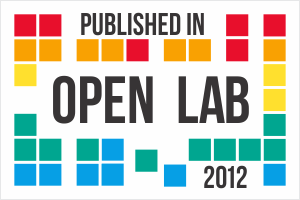 An almost incredible amount of wasted labour and fruitless effort have been devoted to this subject. The quest, however, ever seems to be fresh and attractive, and year after year in wearying succession continues to allure, as the records of the Patent Office show, a never ending train of deluded enthusiasts. It is worth reminding the reader that this article was written 110 years ago! Even then, pretty much every supposed scheme of perpetual motion had been repeated and rediscovered ad nauseum. 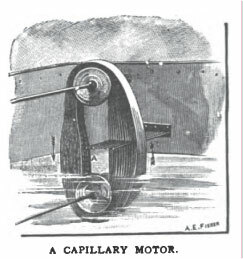 Devices such as the “whipmag” are simply more elaborate versions of devices that were discounted long, long ago. The supposed “principle” of the overbalanced wheel is simple: the weights are designed to extend further from the center of the wheel on on side than on the other. This superficially would seem to create a torque imbalance, which means the side with the extended weights will be pulled downward. As the wheel turns, the extended weights retract and the retracted weights extend, presumably repeating the cycle. Assuming we start our machine at rest, it starts with a certain amount of gravitational potential energy. The total energy is the combination of this gravitational potential energy and the kinetic energy, i.e. the energy of motion. Assuming the wheel starts turning when we let it go, its potential energy lowers as its kinetic energy increases — this is “energy conservation”. However, when the wheel has rotated an angle , it has exactly the same configuration as when it was released. This means that the potential energy must be exactly the same as it was in the first position! If we assume the best possible scenario — the potential energy was a maximum when we let the wheel go — this implies that some intermediate position over that angle is a minimum of potential energy, i.e. an equilibrium point of the wheel. 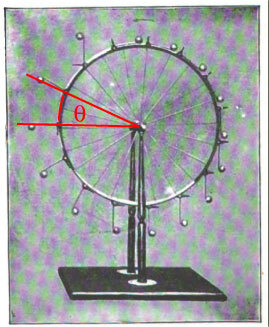 When we release our wheel and let it start to spin, at best we expect it to rock between its original position and the position an angle away, before friction reduces its motion to nothing at the equilibrium point. This is a bit of an oversimplified explanation; for instance, the moving masses on the wheel do not necessarily have the same position after rotating . However, one can see that other positions of the masses will tend to slow the motion of the wheel — for instance, if the masses are extended on the right side of the wheel, they will balance the left side of the wheel better and counteract any force. More elaborate “overbalanced wheels” have essentially the same problem, only hidden better with increasing complexity. The “whipmag” fails for the same reason. 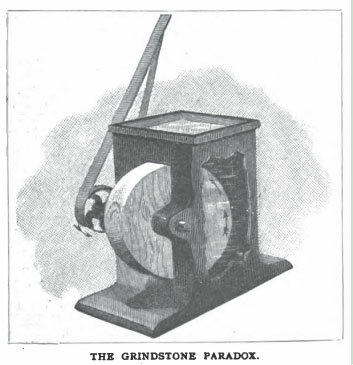 The grindstone machine is just another overbalanced wheel: the idea is that half of a wooden block is submerged in water, while the other half is in air. The submerged half should float, creating a net spinning of the grindstone. From an energy perspective, one can see why this fails. The system has exactly the same potential energy no matter what position the grindstone is in, and there is therefore no position that allows the release of potential energy into kinetic energy. Another favourite scheme is to employ the well-known property of liquids to rise of their own accord against the force of gravity when in microscopic channels, such as are found in all porous bodies, this property of rising being due to what is known as “capillary attraction.” For instance, it is a matter of every-day observation that oil ascends a wick, water passes up over the edge of a basin through a towel which, partially immersed in the water, hands over the side. Some idea of the enormous power of this property of ascending is given by a celebrated French savant who has found that capillary action is capable, under favourable circumstances, of exerting a pressure four or five times as great as that of the atmosphere, and who thinks this is largely efficient in promoting the ascent of sap in plants. Consequently, if this natural uprising property of liquids could be only laid hold of, the problem of getting work for nothing, so thinks our schemer, would thereby be solved. We have selected for illustration a form of apparatus where, on thet left, a bundle of flexible sheets is placed almost in contact, so that the liquid into which they are dipped rises in the microscopic spaces between them. This provides a “head” of water, which is expected to overbalance the right hand of the system, where the sheets have been separated by the wires of a grid, or other equivalent, so as to destroy the capillary action on that side. I’ll leave it to the reader to come up with an explanation as to why this machine fails; feel free to post your hypotheses in the comments! Hopefully the description of this article — published over 100 years ago in a popular magazine, not a scientific one — makes it clear why modern-day physicists do not feel the need to debunk specific perpetual motion schemes anymore. Energy conservation is firmly established, and has been for at least 150 years, in terrestrial physics, and no “free energy” scheme based on simple mechanics or electromagnetics is going to overcome this principle. One wonders why, in spite of this evidence, people still try and construct perpetual motion machines. 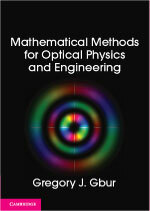 One way to think of it is that the enthusiasts confuse the disciplines of physics and engineering — they treat fundamental physics laws as obstacles that can be overcome with just the right amount of “tweaking”. When building an airplane, for instance, the difference between flying and crashing can depend on very subtle design issues such as the shape of the wing, the distribution of weight, and so forth. However, manned flight is not impossible according to the laws of physics, while violation of energy conservation is. At the present time the public mind is so greatly agitated on the subject of horseless vehicles, that an illustration of the perpetual motionist’s ideas on the subject is given. Here the weight of the vehicle and its occupants bears upon water in cylinders supported on the wheels. 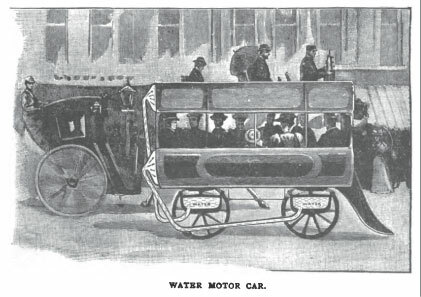 The pressure produced in the water in this way is conveyed by means of pipes to the back of the carriage, where it is employed to push the vehicle along. Such speed the inventor in this case expected to obtain, that, with great forethought, he has provided a “cow-catcher” at the front, by means of which unfortunate persons who inadvertently get in the way are to be gently waived aside. Of course, the larger the number of people carried, the greater the pressure on the water, and hence, in the inventor’s mind, so much greater the speed. This one is a violation of another fundamental physics law besides energy conservation; I’ll again leave it to people to explain in comments exactly what is wrong! perpetual motion =the Vgate works via PIEZOELECTRICS,etc… Please see my comments @CLaNZeR / PESWiki mike peine 4404280323 piezoes make current from vibration / compression, thats used to lift the gate. etc… This is only one way to make free energy. you should see the laws regrading P.M. self proof of P.M. STOP POVERTY and the GASOLOONS NOW! not to mention SLAVERY! Ramiro Augusto Salazar La Rotta, Ph.D. Science. Meaning of the small; e = that enters the system, s = exiting the system. In the latter cases, the efficiencies are less than unity, due not only to the energy lost as heat by friction, but mainly because they work processes that produce from a given volumetric expansion, sacrificing both pressure and temperature that is, the process occurring in volumetric dissipation of energy, from a state of high energy concentration within a small volume, to a state of low energy concentration within a larger volume, or large relative to initial state. Eventhough that both states have the same energy, having done work. In other words the energy is not diminished, or lost due to the transformation in work (another kind of energy), but because this initial energy moves from a high concentration to a low concentration energy energy produced energy dissipation, no energy transformation work (another kind of energy), but an energetic (work), proportional to the change in concentration of energy. This would mean that the energy is not converted but is dissipated to perform a work keeping its value constant in the universe, so if you were to control the energy dissipation occurs as you work, it can be said that the same energy, within a device that produces work (without energy dissipation that produces it), could create other types or forms of energy. Without denying that the internal energy in the system is a state function, not being so for the heat and work, both (heat and work) are only effects, directly proportionate to the change in energy concentration. The latter would be a new theory that revoluconaría, new knowledge regarding actual thermodynamics, in order to achieve efficiencies greater than unity, at properly designed systems for such a purpose. Ramiro Augusto Salazar La Rotta, D.Sc. The perpetual motion (for now) does not exist, simply because the man still does not know how to produce work and heat without reducing the concentration of the energy required to produce it. In others words, all designs of constructed machines by man (so far), and the phenomena that occur in nature, all energy consumes to produce work and heat (irrespective that the process is reversible or irreversible). When designing machines (with special designs, avoiding the decline of the “energy” of the machine, without expansions, involving mobile boundaries), that produce work and heat without decrease of the concentration of the energy of the machine, only this thus obtain perpetual motion. 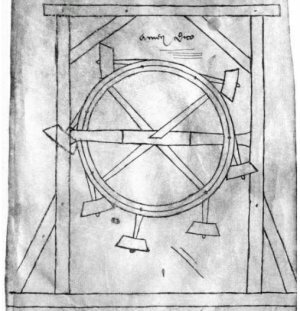 The (hidden) internal works are thus: on the axle is four spikes, spokes, or arms extend like a cross up down & left-right, they are stationary as the axle is, OK their duty is to carry/run four 4 flywheels that will also carry four 4 (handbag) weights that once in flight will make effective “contact” on special “rubber-cushion-catchment’s” on the RIM. To make this work, a fan-belt coming off a large pulley off the inside wall of the casing to small pulley on back of drive-flywheel will set the wheel “on fire”. However the four flywheels will be circled by a second belt giving the drive flywheel twin pulleys. Then from a hand-start the machine would argument to find a maximum. OK, let us assume this is a flywheel below, & these round-ball-weights are a little heavier, & a small fan-belt-pulley is hiding behind the flywheel center below, Right! Now we need to fix this F-wheel on a stationary axel of its own, (preferably in the bottom-half of the machine (Wheel). I have reasonable drawings; but am unable to get them on the net so I just plucked these two of a page, & just hope they show up for you. And the whole idea, from a f/belt inside of casing wall drives working-heavy-weights beating on its own rim therefore A turns B turns C (In a circle C turns A) put in gear-change (large-pulley to small) and you have TAPEOJ! Now how to get 4 stationary axles round the machine/wheel for maxim drive = simple! The outside casing runs freely (bearings) on a solid-held-stationary axle, so the Axle can have 4 spokes, arms or legs (& holding them stationary) strutting out to carry four flywheels. Now when the outside casing is started manually (with the gear-change from the large pulley to small will create “Massive” drive on its own outside RIM! Which will????? He continued: ‘You can start the machine by giving a jerk in whatever fashion you want, clockwise or anticlockwise. Once you start the machine it would go forever until its machinery lasts. The force of your hand with which you start the machine will multiply forever inside, and then you can extract power from the machine to do all useful work for indefinite period of time. It will never exhaust in its power. It is so well designed that it is not necessary to stop it to carry out repairs or servicing.3” Orffyreus said proudly. But my question, can it be protected under patent, or is it a new system, it’s like putting a patent on the frying-pan. Johnny over the hill can build one in privacy. This Tapeoj system is not “Perpetual Motion” nor should be referred to PM as defined by the scientific community; it is not an over-balancing-wheel either, because is impossible. The Great Orffyreus in his search for a PM free-energy-machine discovered this wonderful system, (which cannot be defined as PM, because this is a new lift, a new system, & is an untapped new wonder) So now you can understand the kind of language Bessler used, & the actions he took. Many have tried to blame Orffyreus for burying his idea, that I refute, allowed to exhaust his life naturally, I believe he would have made arrangements otherwise. I have chosen 10 individuals to whom I wish to show my description of Tapeoj in the hope that you may see what I see, & bring it to fruition. I would like to add, I can see no reason why this machine could be constructed to work in a horizontal positioning, rather than vertical. In the cicle above at four oclock, & eight oclock give’s a good example where the flywheels are but while the f/wheels are runing-freely on stationary axle the wall/casing is on the move. Got it? back and told us ————- I don’t think so, do you? If perpetual motion IS discovered, and it breaks the so-called ‘laws’ of physics ——— so what? The ‘laws’ of physics, were made by people, who didn’t know better! This comment section is a convoluted joke, right?